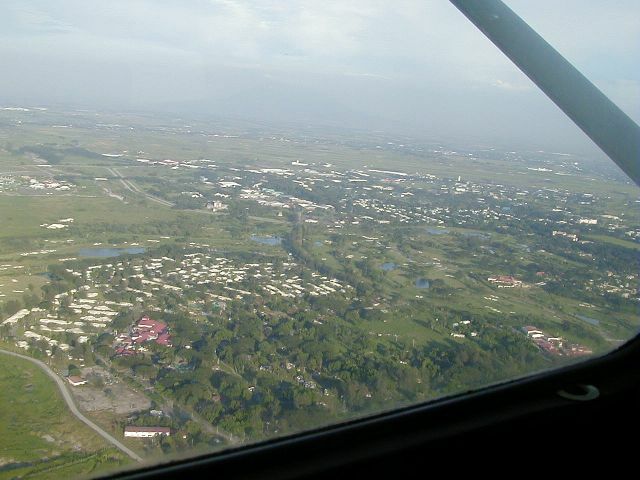 This view looks eastward across the Hill Housing Area, with Mount Arayat barely visible in the distant haze, center. 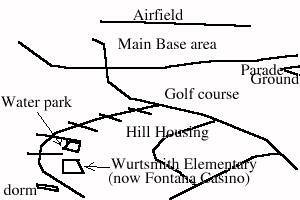 The cluster of red buildings at the bottom left is the Fontana Casino, which has replaced Wurtsmith Memorial School. It is unknown what the buildings are at the bottom right (anyone?). Want to correct or clarify information about this photo? Send an E-mail to clarkairbase@clarkab.org. Mention you are referring to page "a37.htm".